The world is constantly changing. Most of the time, this is for the better. Unfortunately, there are always people who resist such positive change. Rabbi Lebow is not one of them. He has been an advocate for gay and lesbian rights for over a quarter century and is considered an LGBT hero in some circles, having pushed for marriage equality throughout the 1990s, long before it was fashionable and culturally acceptable. Rabbi Lebow believes in love and equality and has fought tooth and nail in defense of those pillars of the soul. No one person or group knows this better than the Cobb County Commission in Marietta, GA. In 1993, the commission passed an anti-gay, ‘family values’, resolution. This homophobic resolution imprisoned hearts and negatively affected lives. It was unconstitutional, ostracizing a specific group of people. Rabbi Lebow immediately organized the straight and gay alliance, which led to the ouster of Cobb County’s anti-gay city leaders. It was a victory for freedom fighters in all corners of the world! Since then, Rabbi Lebow has continued to fight the good fight for equality. There has been no greater advocate or friend to the lesbian and gay community than Rabbi Steven Lebow of Atlanta. 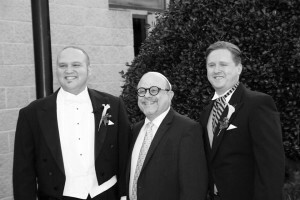 If you are looking for an officiant for your LGBT wedding or commitment ceremony, Rabbi Lebow would consider it an honor to be there on the happiest day of your lives. Rabbi Steven Lebow is endorsed by the Partners Task Force for Gay and Lesbian Couples featured at www.buddybuddy.com. 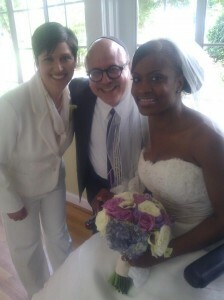 Rabbi Lebow is also featured on www.gayweddings.com. Call 404-790-8612 to set up your pre-marital wedding with Rabbi Steven Lebow. Posted April 12th, 2013 .